Coca-Cola on Friday said it had agreed to buy international coffee chain Costa from its UK owner Whitbread, in a deal that gives the beverages behemoth its first global coffee brand. "Hot beverages is one of the few remaining segments of the total beverage landscape where Coca-Cola does not have a global brand. Costa gives us access to this market through a strong coffee platform," Coca-Cola chief executive James Quincey said in a joint statement. The deal for £3.9 billion ($5.1 billion, 4.3 billion euros) comes as consumer demand for conventional carbonated drinks shrinks in the US and other markets owing to health and obesity concerns. Earlier in August, Coca-Cola's arch-rival PepsiCo struck a deal to buy Israeli company SodaStream for $3.2 billion -- in a pitch to consumers concerned about mounting waste from soda cans and plastics in landfills worldwide. SodaStream makes machines that carbonate home tap water. Coca-Cola's purchase adds to its Georgia coffee brand in Japan and the US group's coffee products in other countries. "Costa also provides Coca-Cola with strong expertise across the coffee supply chain, including sourcing, vending and distribution," the soft drinks giant added. "The announcement today represents a substantial premium to the value that would have been created through the demerger of the business and we expect to return a significant majority of net proceeds to shareholders," Whitbread chief executive Alison Brittain said in the statement. "Whitbread will also reduce debt and make a contribution to its pension fund, which will provide additional headroom for the expansion of Premier Inn." Whitbread's share price was up almost 16 percent to £46.56 following the announcement, while London's benchmark FTSE 100 index on which it trades was down 0.3 percent. "This is a bitter sweet moment for Whitbread investors," noted Nicholas Hyett, equity analyst at Hargreaves Lansdown. "On the one hand £3.9 billion is an undeniably rich valuation and likely far better than Costa could achieve as an independently listed company, valuing its earnings higher than those of the mighty Starbucks. 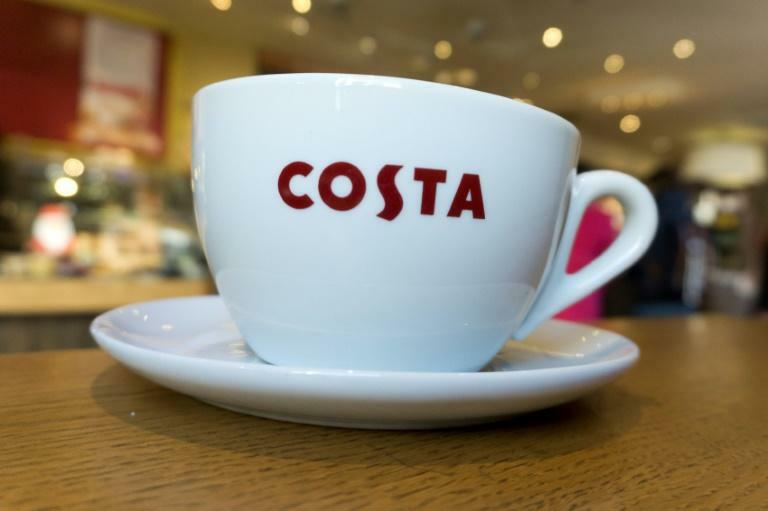 "On the other, Costa has long been the jewel in Whitbread's crown and some will be sad to see it go at any price, especially given the growth potential in China and elsewhere." Whitbread bought Costa in 1995 from founders Sergio and Bruno Costa and presently runs about 2,400 stores in the UK and some 1,400 around the world. Costa also operates more than 8,000 Costa Express self-serve machines in eight countries, as well as placing its products in supermarkets. Premier Inn has 785 hotels in the UK and a sprinkling of others in Germany and the Middle East.